James Fell (pictured), a senior researcher at the Pacific Institute for Research and Evaluation, came to the Legislature's Business and Development Interim Committee to pitch lawmakers on the public-safety benefits that come from a lowered BAC limit. Fell presented research to lawmakers that the Utah ought to follow the lead of other countries, presenting 2012 research from the World Health Organization that 91 countries have lowered their BAC limits to .05 or less. He also showed lawmakers studies from countries that lowered the BAC limit showing reduction in alcohol-related driving injuries and fatalities. A 2000 study in Austria, for example, showed a 9.4 percent decrease in alcohol-related crashes in that country, while a 1997 study in Australia showed an 18 percent reduction in fatal crashes and a 14 percent reduction in serious crashes after the limit was lowered to .05. Fell also cited a review of research from 2000 by the Department of Transportation showing driving impairment significant in BAC levels ranging from .04 to .06. Sen. John Valentine, R-Orem, considered the Legislature's point person on alcohol policy, questioned if law enforcement would be able to use probable cause to pull drivers over who might be at or above .05 since it may be harder to observe the effects of alcohol at that level. Fell countered that enforcement would stay the same; if an officer observes unusual driving and pulls someone over, a simple field sobriety test could be employed before having someone take a breathalyzer test. But that's an issue that Salt Lake City DUI attorney Charles Stewart disagrees with. In an interview, Stewart, who besides being an attorney has also received instructor-level certification on administering field-sobriety tests, points out that the tests have not been standardized by the National Highway Traffic Safety Administration as valid for a BAC limit of .05, which could pose legal problems if an individual were pulled over. 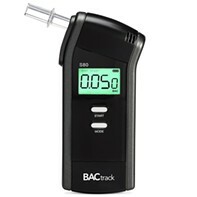 For officers to have probable cause that would justify the use of a breathalyzer test, they would first have to conduct a field-sobriety test on the driver. The traditional sobriety tests, like walking a straight line and turning around, have “over the course of three decades, been studied, measured and validated at .10 and .08 [BAC] but not at .05,” Stewart says. Still, Fell felt confident that the lowered limit was sound policy, arguing to the committee that lowering the BAC bar will affect the behavior of those leaving the bar, and other Utahns who may be considering drinking and driving.